Hello London sketchers! 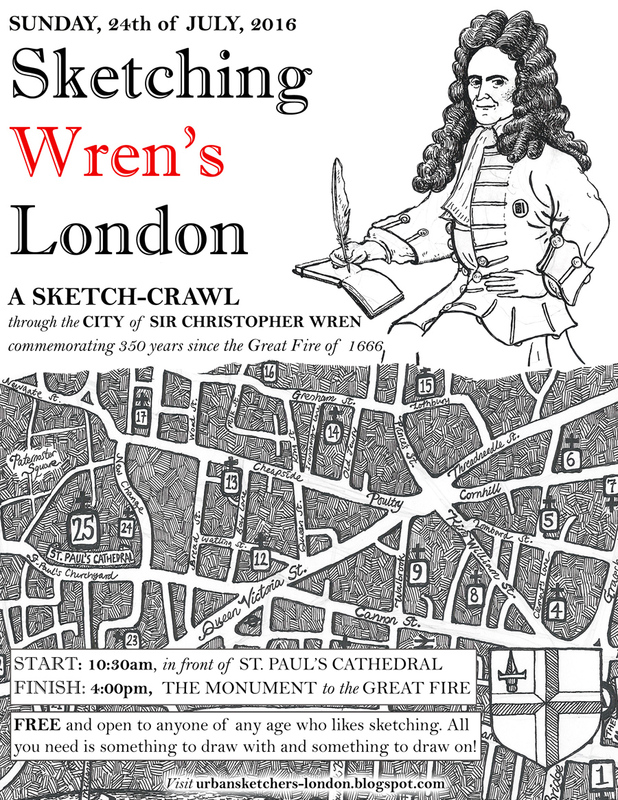 Join us for a sketchcrawl in London, through the City of Sir Christopher Wren, architect of St. Paul’s Cathedral and so many other churches and buildings in the years following the Great Fire of London, 1666. Hey, that was 350 years ago! Starting by the steps of St.Paul’s Cathedral, and finishing up at Wren’s Monument to the Great Fire, we will explore the city in groups or individually as you prefer, looking for the London built by Wren after the Great Fire. It will be the weekend before the International Urban Sketching Symposium in Manchester. Don't forget to join London's Urban Sketchers on the day before (Saturday July 23) at the sketchcrawl around Trafalgar Square – should be lots of sketching fun! See you on the streets of London! 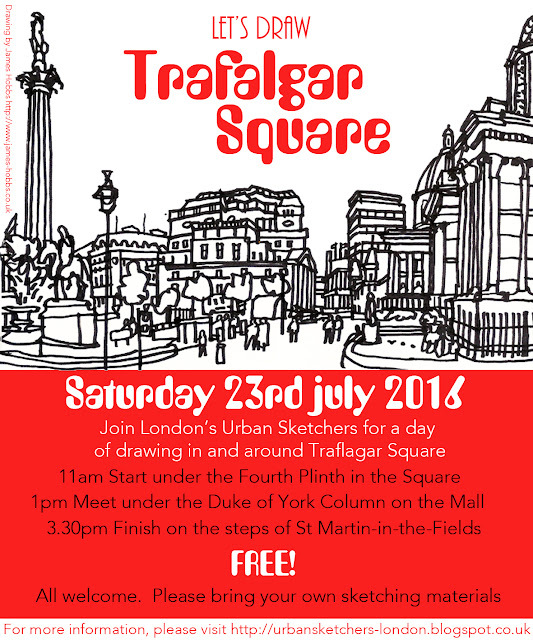 Join the London Urban Sketchers for a sketchcrawl in and around the Trafalgar Square area on Saturday 23rd July. 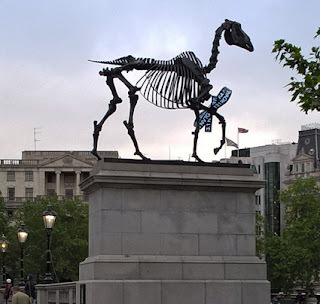 Meet at 11.00 am under the statue on the Fourth Plinth, on the top level of the Square. We'll meet up again at 1.00pm under the Duke of York Column, which is just off The Mall, near the ICA. 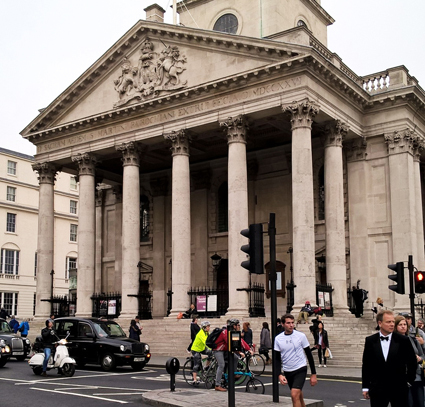 Finally at 3.30pm, on the steps of St. Martin-in-the-Fields to take a look at the sketches from the day and take a group photograph. 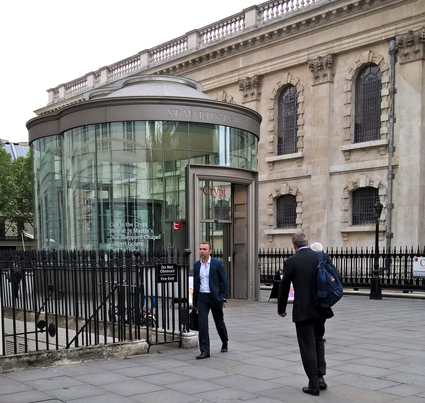 For those who have time to stay longer, we can move on the Crypt Cafe for coffee and chat. 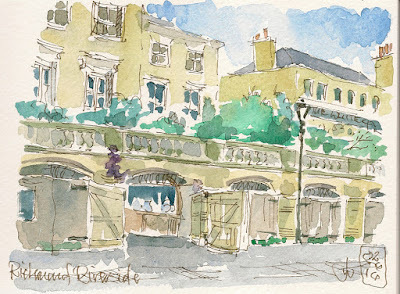 This is an unashamedly 'London' sketchcrawl in the heart of the city! 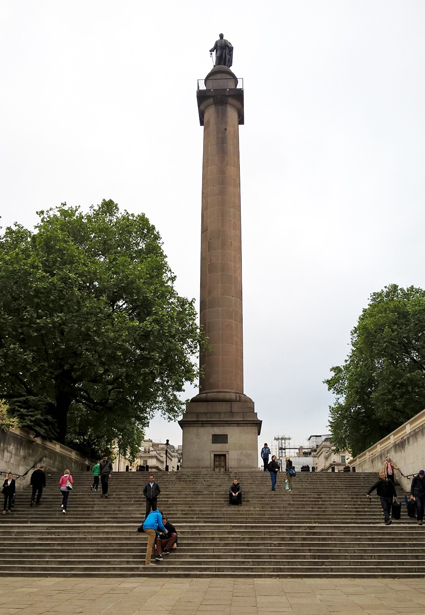 Lots of iconic buildings including Nelson's Column, Admiralty Arch, the National Gallery, Buckingham Palace, views of Big Ben and Whitehall. Lots of red buses taxis and tourists too. For those wanting something a little more tranquil, there is St. James Park, which if the weather is fine, would be great place for a picnic. Being a central location there are plenty of cafes and places to eat. 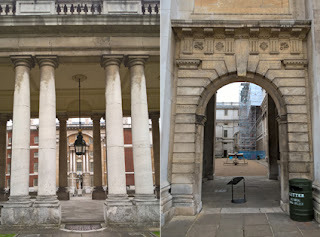 There are toilets in the Square itself, and also in the National Gallery and Portrait Gallery, both of which have free entry. Free event, all abilities welcome, just bring your own art materials. 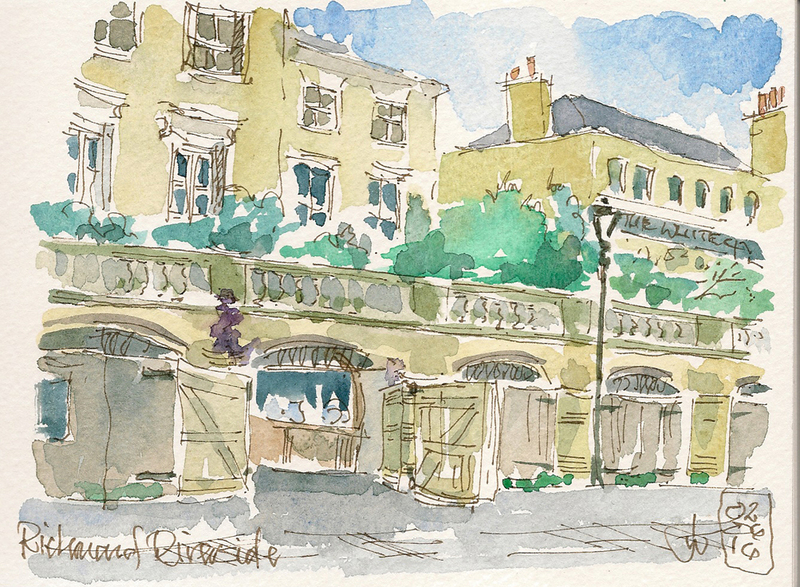 For more information, visit the London Urban Sketchers blog, Facebook page or follow on Twitter @UrbSketchLondon. The Big Dance bus arrived in Croydon a couple of weeks ago for a Family Fun Day in Park Hill Park. A wide variety of dancers took to the checkerboard stage including street dancers, belly dancers and traditional Indian dancers whilst in the community garden, volunteers helped build bug hotels using pallets, recycled wood and paper. Join us for a tour of sketchspots in this beautiful town. 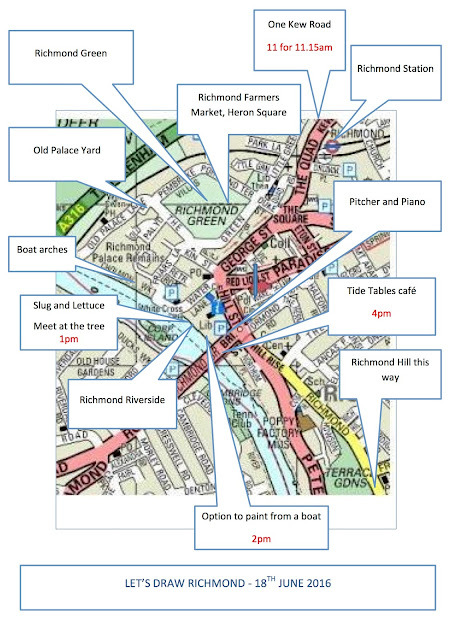 On the map are the historic Richmond Green and theatre, the ancient Old Palace Yard, the spectacle of Richmond Riverside, a farmers market and options to climb Richmond Hill to sketch the only view protected by an Act of Parliament. You also have the chance to sketch from a boat (£6 charge, email John to book a place before noon on Thursday 16 June at jwebbpilot@gmail.com, more info below). Several great places to meet and share approaches and coffee are included. 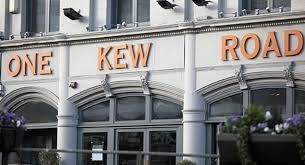 • Lunch is available at several pubs near to the meeting places. Located in zone 4, Richmond Station is served by the District Line and is also part of the London Overground network with regular trains from London Waterloo taking approximately 25 minutes. Physical access: all of the venues are wheelchair friendly, if you don’t mind a few cobbles. For details about access, visit: www.inclusivelondon.com/defaultIL.aspx. 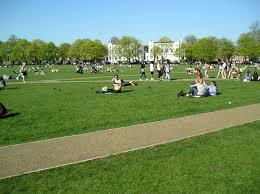 Richmond Green has been an important open space since the Middle Ages when it hosted jousting competitions. Many fine old houses, the central library and the famous Richmond Theatre flank the Green. Narrow streets border the green, with possibilities for sketching and coffee. 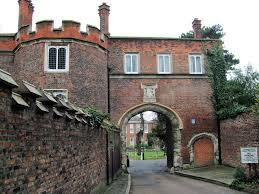 Richmond Palace was a royal residence on the River Thames in England that stood in the 16th and 17th centuries. Only vestigial traces now survive, notably the Gate House. The site of the former palace is the area between Richmond Green and the River Thames, and some local street names provide echoes of the former Palace, including Old Palace Lane, Old Palace Yard and The Wardrobe. A grassy terrace provides an ideal spot to capture the river, the people, the bridge and the architecture. 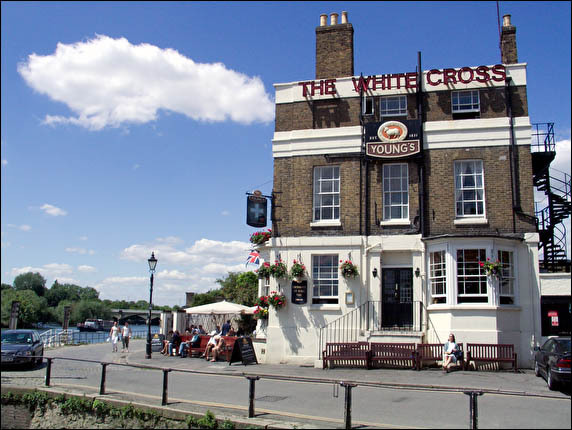 Richmond riverside is a popular place, and we can’t be sure of finding one spot for lunch for all of us, but eating venues next to the meeting place include the Slug and Lettuce and The White Cross Pub. Richmond Farmers' Market is an alternative source of food and artistic inspiration. 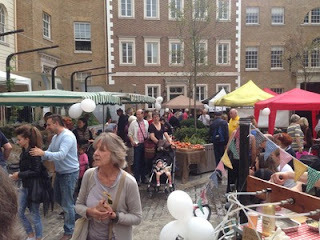 The market is open on Saturdays from 11am to 3pm. Aside the normal meats, fruit and vegetables, you can often find honey, cakes and pastries. 2.00pm Painting from a boat from Richmond Riverside: an opportunity for a duck’s eye view of the river. As the tide is favourable we have arranged with Mark Edwards/Richmond Boathouses who built The Glorianna, as an optional extra for any who want to emulate the Newlyn School or Turner in Venice and sketch the Riverside from boats near the opposite bank. The cost for this will be £6 per person for about 2 hours from 2.00pm. 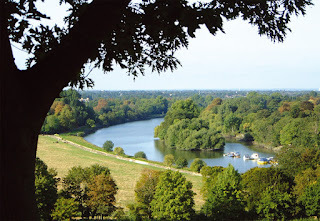 This renowned hill offers the only view in England to be safeguarded by an Act of Parliament to protect the land on and below Richmond Hill and thus safeguard the fine foreground views to the west and south. Immortalised in paintings by Sir Joshua Reynolds and JMW Turner, it was described by Sir Walter Scott as "an unrivalled landscape". The scenic panorama may be viewed from Terrace Walk, laid out near the top of the hill in the 18th century. This promenade surmounts the Terrace Gardens and both are Grade II* listed . Terrace Walk is an ideal spot for sketching. To reach it, walk up the picturesque Hill Rise, with its little shops and handsome houses, or walk along the riverside and climb up through Terrace Gardens, past pretty Hollyhock Cafe. If dry: Tide Tables café. Meet on the café terrace, on the south side of the Bridge. 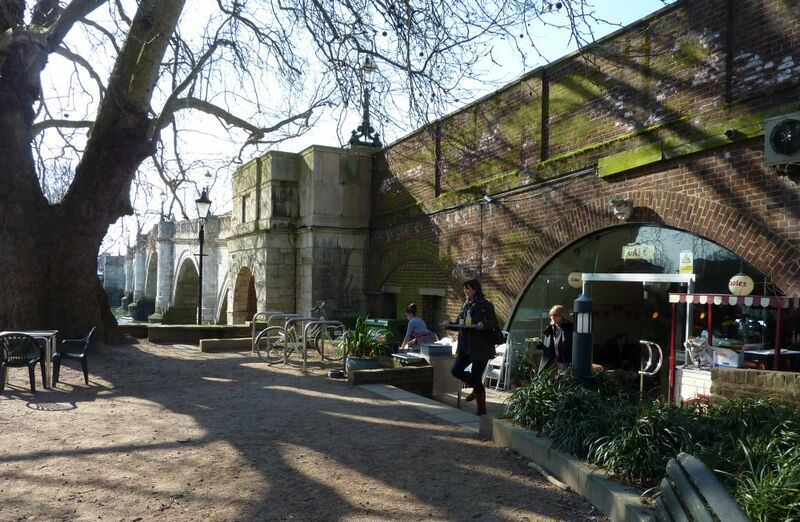 This café is in a converted arch beneath Richmond Bridge and has a large garden with majestic plane trees. 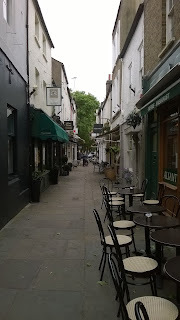 Great coffee, great food, warm and friendly atmosphere and a huge terrace to sit outside, with steps to show off our work. 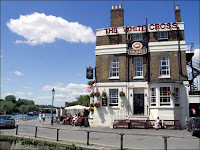 Just up the steps by Richmond Bridge, by night this bar is a favourite with Richmond’s young, and a great place to relax by day. 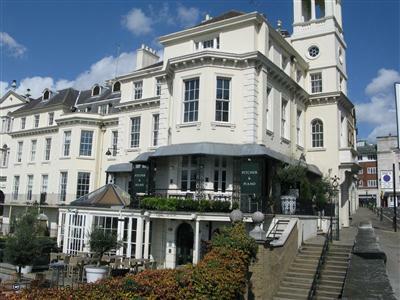 It has a fabulous terrace overlooking the river. Stay on at the Pitcher and Piano for a drink before departing. The Richmond sketch crawl is organised by Helen Hayhoe and John Webb. Our thanks to them! Join the London Urban Sketchers for a sketchcrawl in and around Greenwich on Saturday 20th August. Meet at 11.00 am under the bows of the Cutty Sark. 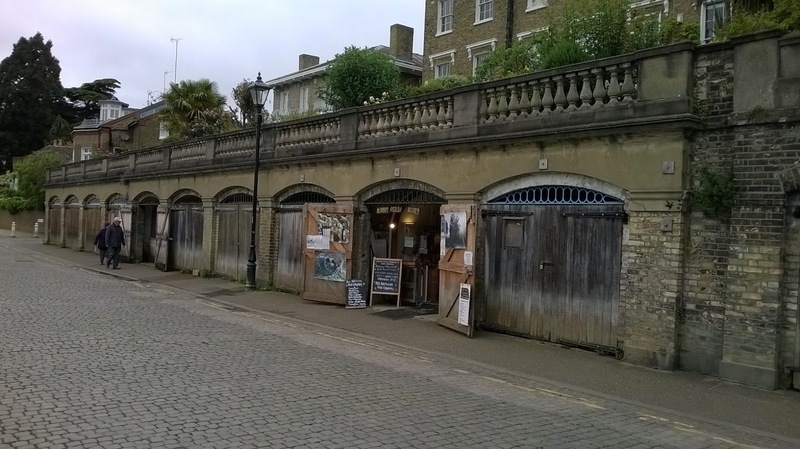 We'll meet up again there at 1.00pm, when, if you are feeling intrepid, you can join a group and walk under the Thames via the foot tunnel to sketch the view of Greenwich from Island Gardens. 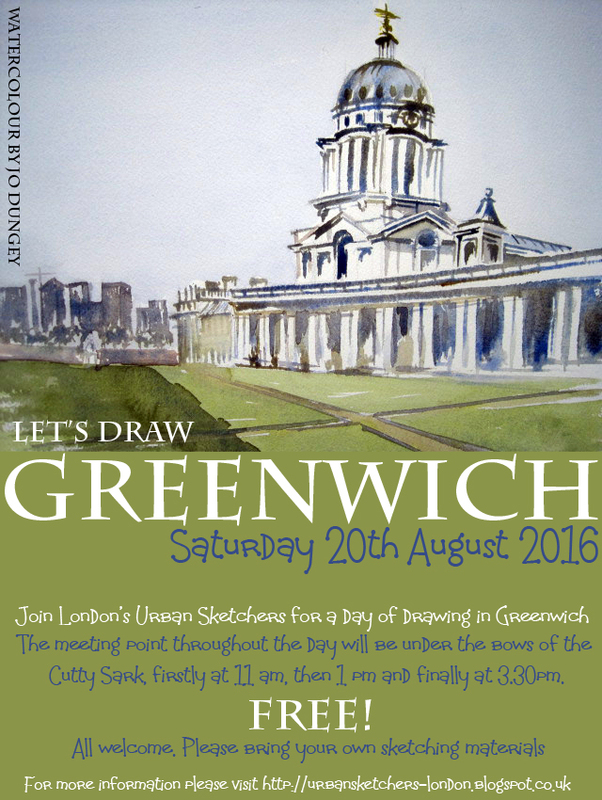 The final meet up is at 3.30pm, under the bows of the Cutty Sark again, to take a look at the sketches from the day and take a group photograph. Maritime Greenwich is a World Heritage Site so lots of great architecture to draw including the Old Naval College and the Queen's House. Also great views of the Thames in both directions and as it's a busy spot for tourists, lots of people too. It's worth walking up the hill to the Royal Observatory for a fantastic view over London. There is free entry to the Maritime Museum which also has a cafe and toilets. 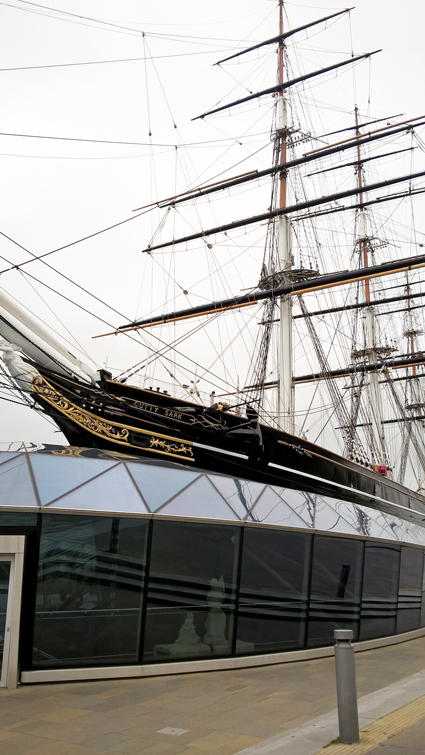 The meeting point throughout the day is under the bows of the Cutty Sark. Starting at 11 am, then 1 pm and finally at 3.30 pm.